25 Feb8 Interior Painting Tips To Remember When Buying Or Selling Your Home! 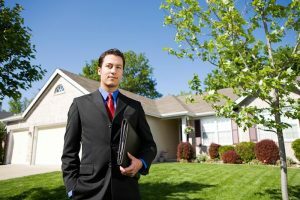 When it comes to buying or selling a house, appearance can make or break the biggest deals. Oftentimes, something as simple as a fresh coat of paint is all it takes to convince a family that they’ve found their forever home! Over the years, LaffCo. Painting has had the privilege of working with countless homeowners (and their realtors!) who were in the process of buying or selling their home. Because of this, we are very in-tune with what it takes to “seal the deal” on a home purchase or sale, and we want to help you out! Congratulations! You have just closed on your new home and are thrilled to move in! You load all of your furniture and personal belongings into the back of a moving van and immediately start filling up your brand new space. And then it hits you: the walls are in desperate need of a makeover! But now you have stuff everywhere, and having a team of painters tiptoe around everything in an attempt to paint your walls is a headache you never expected to have! 1. 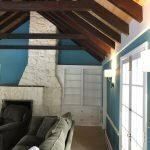 Paint Your New Home’s Interior Before Moving In! This option is not only the wisest, it’s cheaper, too! You’re saving time not only for yourself, but for the painters. They won’t need to worry about covering every bit of furniture or moving everything from room to room as they make their way around the house – and saving time means saving money! 2. Take Advantage Of LaffCo.’s 2 Year Warranty! 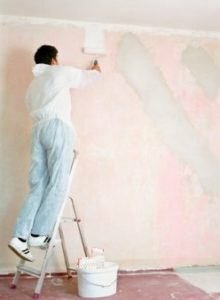 You might be worried about paint scuffs and chips during the move, or damage to paint on the walls of a new construction as the house settles. Fortunately, LaffCo. Painting offers a very unique two-year warranty on all interior paint jobs, including those on new construction homes! Even though construction companies will typically repair popped nails or other minor structural damages as your new home settles in, they will not repaint walls. With LaffCo.’s two-year warranty, you can move into your new home with some peace of mind, knowing that we will come in and touch up your walls after each repair! 3. Complete All Interior Painting Projects Immediately After You Close! I know I’ve already touched on this topic in Tip #1…but it really is that important! Simply making sure your painting projects are completed before the big move isn’t enough. Timing is everything – and having your home completely painted ASAP is key. Don’t wait until right before you move to paint. 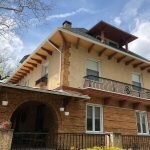 It should be the first project you complete right after closing on your new house. Not only will it be good for your budget (unforeseen expenses always tend to rear their heads as moving day approaches! ), but it will be one less thing to stress over as time goes on. You can always go in and make touch-ups as needed right before the move. Finishing your painting projects immediately also helps with the decorating process, as you have plenty of time to adjust to the fresh new colors and decide how you’re going to customize each room! 4. Don’t forget your closets! The last thing you want to do is to hang all of your clothes in a dingy-looking closet! We recommend painting all closet spaces in a bright, clean shade like White Satin by Benjamin Moore. Finish this small step before you move into your new home, and you’ll probably never have to paint your closets again! 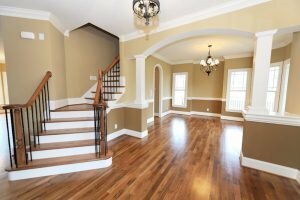 If you’re about to put your home on the market, there are a few important things to keep in mind regarding your interior paint job. 1. Stay Ahead Of The Game! Don’t wait until your home is already listed before updating the interior paint! If you think you’ll be moving in the next 3-5 years, start preparing for it today! LaffCo. Painting has compiled a list of popular paint colors to review. We’ve also worked with tons of realtors who have given us plenty of pointers on the best colors to paint a house that is up for sale. Let us help you make the right choices for your home! 2. Invest A Little – Return A Lot! Sometimes it’s hard to justify spending money on something you’re trying to get rid of. 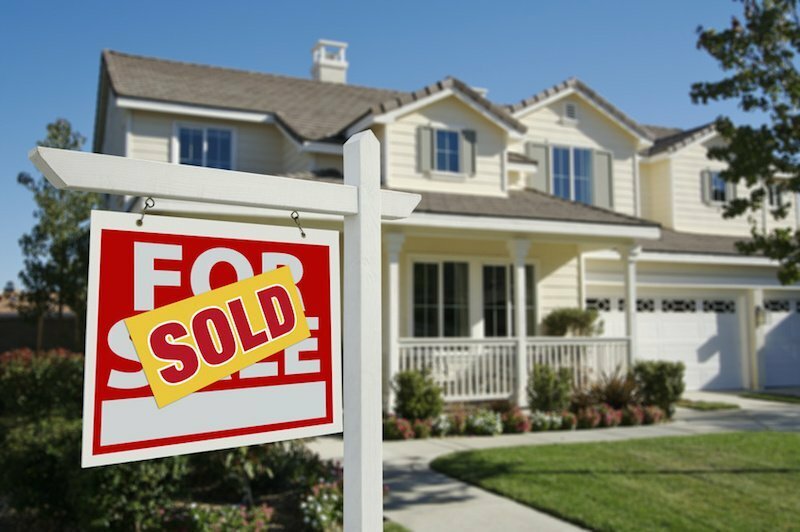 When you’re looking to sell your house, you want to bring in as much money from the sale as possible. In many cases, the last thing you want to consider is an out-of-pocket expense like new interior paint. Don’t make this mistake! Paying a professional painter to come in and paint your home before putting it on the market could ultimately increase your sale price by tens of thousands of dollars! A home that looks newly-painted will also sell much quicker than one that looks neglected. Be willing to invest in this important step…you won’t regret it! When selling your home, you want potential owners to immediately sense the love and attention you’ve given it all these years. That’s why you never want to skimp on its upkeep, especially when it’s on the market! Obviously, you don’t need to spend as much as you would if you were staying in the house forever, but don’t use a fly-by-night painter or low-quality paint if you’re trying to sell your home. Cutting corners at this point will not only be a huge waste of your money, but it will ultimately hurt the value of your home and may even make it look worse! 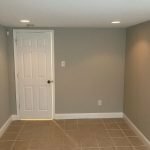 Okay, so you’ve listened to our advice and given the interior of your home a facelift with a fresh coat of paint before posting it for sale. Now…what about those cabinets and baseboards? Fresh, newly-painted walls will get you nowhere if you have outdated cabinets or chipped baseboards! Every little detail is important when selling a home; you want the entire space to look its absolute best in order to bring in the most from the sale and get it off the market quickly. Buyers notice everything when looking for their future home. Let them know your house has been loved, and they’ll love it, too! LaffCo. Painting has been in the business of helping home buyers and sellers for years. We’ve learned that following these simple tips can make a world of difference in your life as you settle into your forever home. If you want to give your home a fresh look before posting it for sale, or if you’ve just purchased a new home that is in desperate need of a facelift, we’re here to help! Contact LaffCo. Painting today for a free quote, and let’s get you comfortably settled into your forever home!